Watching my own father slowly but surely succumb to Alzheimer’s was a heartbreaking experience, but I’m so glad it didn’t strike until he was well into his 80s. Coping when your partner and the father of your young child is struck by the disease in his early 60s must be horrendous. 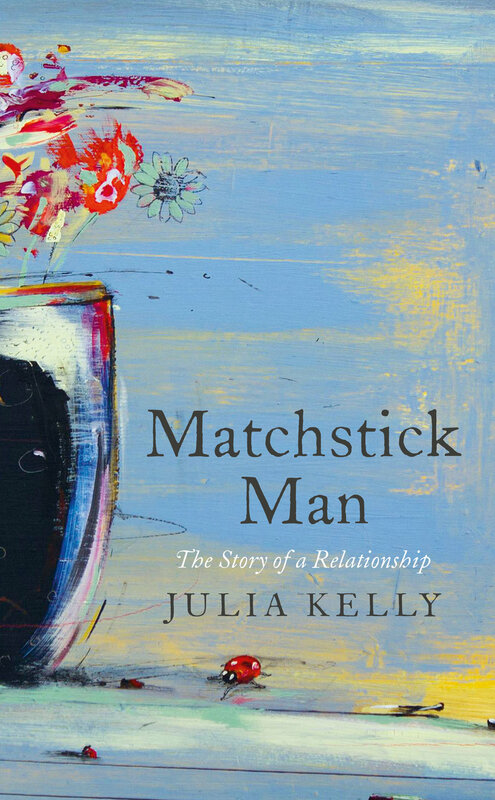 This is the poignant landscape of Julia Kelly’s memoir Matchstick Man. Here, she lays bare the grim realities of living with a partner whose synapses are misfiring, who’s losing his sense of self, and who is inexorably being consumed by early onset dementia. Charlie Whisker is an established and talented, albeit quirky visual artist, 20 years Kelly’s senior when she meets him at an artist’s retreat. Struggling to find her writing mojo, she is quickly beguiled by Whisker’s intelligence and eccentricity (he has a pet iguana called Skippy and a penchant for rescuing animals and befriending old ladies). So begins a union which is undoubtedly bound by love, but also emotionally fraught. For a time, the couple enjoy the salad days of being celebrated Irish artists, a lifestyle complete with famous friends and celebrity parties, but as the years pass it becomes clear that although Charlie is a generous mentor, he also has an artistic temperament and is prone to fits of truculence and even psychological cruelty. These personality flaws are compounded when he starts to demonstrate the tell-tale signs of early onset Alzheimer’s. As his condition deteriorates, Kelly finds herself parent and carer to two children, the couple’s young daughter – ‘the Nipe’ – and Charlie himself who is rapidly becoming more child than adult. What happens to Charlie as he loses himself to this cruel disease is often distressing. Matchstick Man is by no means an easy read and certainly doesn’t romanticise what is a tragic condition. Each chapter is presented as a kind of epiphanic vignette of Kelly and Whiskers’ lives together; some of the realisations she comes to along the way are gut-wrenching. The style of Matchstick Man reminded me of a diary, so personal is its subject. Yet, it is never sentimental or maudlin. It is, instead, a beautifully crafted story of the disintegration of a mind, and it’s easy to tell that Kelly is an award-winning writer of fiction. The raw and unsentimental tone is frequently unsettling but unflinchingly honest and I have only admiration for Julia Kelly’s courage. An affecting memoir and highly recommended.